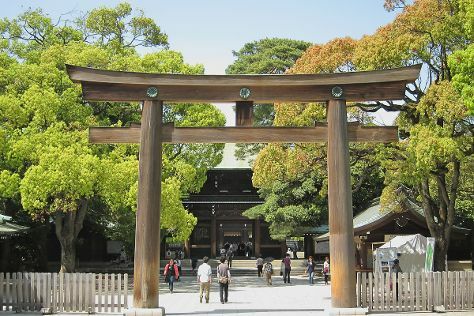 Step off the beaten path and head to Kamogawa Sea World and Hase-dera Temple. Get out of town with these interesting Tokyo side-trips: Narita International Airport Terminal 1 (in Narita), Yokohama Port Osanbashi International Passenger Terminal (in Naka) and Tokyo DisneySea (in Urayasu). Have a day of magic on the 18th (Mon) at Tokyo Disneyland. There's still lots to do: make a trip to Meiji Jingu Shrine, admire the landmark architecture of Tokyo Tower, see the interesting displays at Samurai Museum, and take in panoramic vistas at Tokyo Skytree. To see other places to visit, ratings, reviews, and more tourist information, go to the Tokyo trip planner . If you are flying in from Thailand, the closest major airports are Tokyo Haneda International Airport, Narita International Airport and Hyakuri Airport. Expect a daytime high around 12°C in February, and nighttime lows around 2°C. Finish up your sightseeing early on the 25th (Mon) so you can travel back home.